When I first learned we were having twins, I was in shock. I stayed in that state of shock for at least several weeks. This shock was fueled by fears and questions of how I would successfully care for my family. One of my big concerns was how my new, bigger family would fit into our current home. I spent several days looking for a new house and running numbers through mortgage calculators online. Did we end up buying a new home? No, and you shouldn’t either. If you want to live a long, happy life, don’t make a pregnant woman, especially one pregnant with twins, move her family and house. Your wife will get extremely large with twins. This means possible bed rest and definite exhaustion. Think for a minute about how she might handle packing up the house, moving to a new location, and getting settled into a new place. 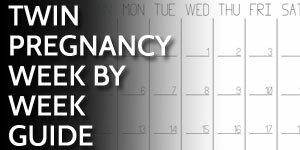 Moving is stressful even without a pregnancy. So don’t do it. The good news is that you can wait until the babies arrive and reassess the situation. 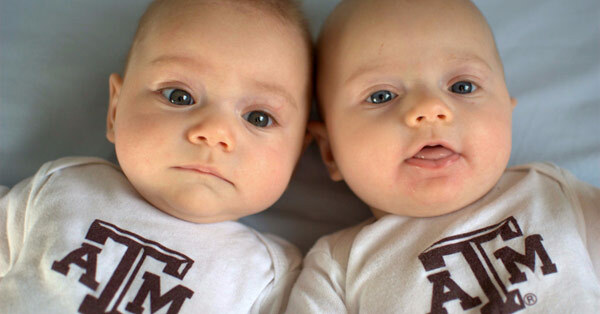 Amazingly, twins don’t initially take up too much more space than a singleton baby. 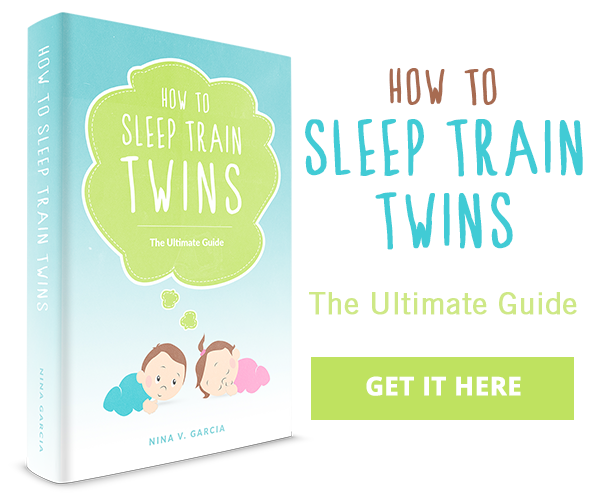 In fact, you can even consolidate and sleep both twin babies in the same crib for a few months. Until the twins start getting mobile, you can survive in your current home assuming you have space for one baby. Twins share a bath, changing table, rocking chair, and even a blanket for tummy time on the floor. Take a deep breath. Stop searching for a new house. You’ll have plenty of new expenses anyway. Why add a bigger mortgage to the list? Thanks for the advice (and for leading me here via twitter). Instead of house shopping, we brought in a handyman and went through a list of things we’d like done and got quotes for everything. First up – remove the closet return walls in the baby room to make the room larger and take out the china cabinet and turn it into a giant closet for things like the vacuum, strollers, etc. Next year when one of them takes a first step – get the deck fixed (cuz it’s currently missing a railing and has a hole in it). A few more years down the road – add a wall and door to what is currently my office alcove to make it a separate bedroom when they are ready to have their own rooms. Each job, about $1,000. MUCH easier to budget and spread out than a new house! @Alex – improving your current home is a great alternative to moving. Thanks for sharing some of the things you did, it definitely gives me some ideas for my own home. So true! My girls are a year old now and still in the same crib…and they have as many toys as my singletons did. As a matter of fact the only way an outsider would be able to tell we had twins by coming in the house would be the two high chairs. The only place they take up double the space is in our van! @Dakotapam – I’m impressed you made it a year in the same crib. We moved our girls to separate cribs earlier but still tried to share as much as possible. I wish this were true. But we had two adults, a two year old, and three large dogs in 700 square ft. Then my gramma gave us all her antique furniture “for the babies” (like they sleep in a China hutch or something. )…this pregnant momma heard “twins” and went straight for the moving boxes. @Nicole – it sounds like in your situation, you made the right choice. 700 sq ft isn’t a lot of room for the full house you are describing. I think this is your best post yet. We lived in a tiny two bed apartment on the second floor when I found out I was expecting. Everyone seemed to feel sorry for us but it worked out perfectly. The twins slept on our room following SIDS advice. I was breastfeeding too it was so much easier this way in the early hours. During the day I found that having a laundry machine, bathroom and kitchen in easy reach was ideal to do my chores and look after the twins. The twins slept in their room during the day or in the living room. Not having stairs meant no need for a changing table and bouncer on each floor – no running up and down steps and need for bringing them up and downand no need to double up on stuff!I decluttered constantly which is great and so much easier to do than wait till it all builds up. The only challenge was the stairs in the shared communal area. We did not have an elevator. However what I found is there a system for everything and you find a way to manage the challenges. Eventually the twins started walking and then running so we eventually bought a bigger place with a yard. But the lesson is that everything is manageable, and whatever space you have can work. @Jennifer – thanks for sharing your experience. I love how you made it work with what you had. Well done!